Can't find what you are looking for or need a free quote? Our vinyl custom printed stickers are printed on quality white vinyl with an outdoor life expectancy of 3+ years. These custom stickers can be printed in any colour and cut to any shape at no extra charge. Our custom printed stickers are suitable for most applications including bottle labels, bumper stickers, caravan stickers, or any application that you need a water proof vinyl sticker. Our reverse printed stickers are printed in reverse on clear vinyl. This allows you to stick your sticker on the inside of a window or glass panel and be viewed from the outside. Reverse window stickers stop people damaging or peeling off your sticker as it is on the inside of the glass. We print white ink as backing on all of our clear stickers to ensure your design stays vivid and bright. Water proof. Our car bumper stickers are printed on quality white vinyl with an outdoor life expectancy of 3+ years. These bumper stickers can be printed in any colour and are fully weatherproof. We can even design them for you for free. Great for advertising on any vehicle. Tamper Evident Labels. These labels are printed on a special vinyl that cannot be removed and re-applied. 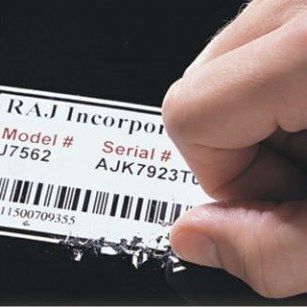 It's the ideal way to prevent unauthorized transfer of labels. Ideal for permits and certificates, also an effective solution to know if the goods you sell have been opened. Water proof. If you want a sticker that has transparent background in its design, then our clear stickers on transparent vinyl is your answer. We print with a white base before the coloured ink so the sticker stays vivid and bright. Water proof. 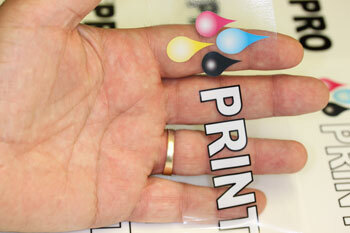 As we print these clear stickers with white ink, they can also have white text or graphics. for delivery Australia Wide with easy online ordering. Our printing of vinyl custom made printed stickers occurs on quality white vinyl with an outdoor life expectancy of 3+ years. These custom stickers and labels can be printed in any colour and cut to any shape at no extra charge to better suit your personalised business logos. Our personalised custom made printed stickers are suitable for most applications including bottle labels, bumper stickers, caravan stickers, or any application that you need a water proof vinyl sticker. Our reverse printed stickers are printed in reverse on clear vinyl. This allows you to stick your personalised logo sticker on the inside of a window or glass panel and be viewed from the outside of your business. Reverse window stickers stop people damaging or peeling off your sticker as it is on the inside of the glass. Our printing involves white ink as backing on all of our clear stickers to ensure your design stays vivid and bright. Our car bumper stickers are printed on quality white vinyl with an outdoor life expectancy of 3+ years. Our printing of personalised bumper stickers can be in any colour and are fully weatherproof. We can even design them for you for free. re-applied. It's the ideal way to prevent unauthorised transfer of personalised labels. Ideal for permits and certificates, also an effective solution to know if the goods you sell have been opened. Water proof. If you are after printing a business logo on a sticker that has transparent background in its design, then our clear stickers on transparent vinyl is your answer. We run our printing with a white base before the coloured ink so the sticker stays vivid and bright. Water proof. As we print these clear stickers with white ink, they can also have white text or graphics. For that Special Gift that’s truly unique. Have your favourite photo turned into a large format poster. Our Large Format Posters are available in two different materials. Personalised printed stickers, window stickers, reverse stickers, custom made labels, clear stickers, bumper stickers and more. We can provide you with an easy way put your company name, business logo or message on almost any surface. We can create you the perfect solution for you from our large range of printed stickers in any shape or size. With low minimum quantities and available in any colour or shape, we are capable of printing the perfect sticker to suit your needs. We only use quality, long life self-adhesive vinyl for our custom vinyl stickers and decals. This way you get a label that is not only waterproof, but is also very durable. Whether you need custom made label or decal for OH&S, labelling boxes & packaging, a personal sticker for your car or caravan, or to protect a device from being tampered with, we have the technology for printing a sticker, custom made label or decal to fulfil your requirements. Contact Stickers n Things Custom Made Stickers now, to let us suggest the best solution to promote your business logo, or simply browse our website to view our different sizes of labels. A good place to start is to use our instant quote tool to find and design your business logo on a sticker. Orders can be placed using your own artwork or designed online using our LiveArt design tool. If you want us to design it for you for free, use the free quote form from the menu at the top of every page to tell us what you want and we will email you a design and price. If you have any special requirements that you cannot find an answer to on our website, simply call us, or contact online using the "Free Quotes link" at the top of every page. We can provide other sizes, shapes and quantities not listed on our website. Most orders placed via our website will be made and posted in 5 business days. All orders are shipped via Australia post. An option of express post can be purchased if required if you need your order faster. Once you have completed your order, we will send you a proof by email. Orders will not be made or shipped until they are paid for in full and your proof is confirmed. We are located in Bodalla on the south coast of NSW. We post daily to all states, cities and towns throughout Australia. Remember, if you need a custom sticker but can't find it on our website, just use the contact form at the top of the page and we are sure that we will be able to help.